According to the most recently published data from the U.S. Centers for Disease Control and Prevention (CDC), greater than 50% of foodborne disease outbreaks in the United States are caused by a single food preparation location(1). As reported in previous years, retail foodservice establishments were again the most commonly reported locations leading to foodborne disease outbreaks in the United States. The majority of the food safety hazards that can occur in a retail foodservice establishment and their related probability (the risk) are well known. Many of the known microbiological hazards, and the best means to control them, have already been identified by FDA. 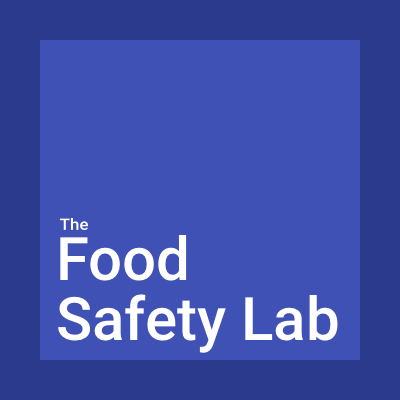 Both FDA and CDC also continually study retail foodservice establishment food safety, what contributing factors occur in them that lead to foodborne disease outbreaks, and what methods can be used to prevent them. Numerous additional studies performed and published in the scientific literature continue to validate these top five risk factors, and there is evidence that the lack of their control leads directly to foodborne disease outbreaks from retail foodservice establishments(3). One study showed that certain local health department inspection violations were more likely to be associated with restaurants that had actually caused foodborne disease outbreaks in Minnesota(3). When the authors compared these violations with contributing risk factors of foodborne illness as defined by CDC(4), they found that about two-thirds of the top violations observed during inspections at outbreak-associated restaurants fell into the ‘‘contamination’’ category—for example, contamination of hands, surfaces and food. Contamination of foods via the hands is ranked highly among risk factors identified during outbreak investigations. In a report of the factors contributing to foodborne disease outbreaks from 1998 to 2002(5), bare-hand contact, inadequate cleaning of processing or preparation equipment or utensils, and handling of food by an infected person or an asymptomatic carrier were among the most important factors (associated with 26, 25, and 22% of disease outbreaks, respectively). Pathogens with low infective doses may be present on hands in high numbers, and can be easily transferred to foods and/or food contact and non food contact surfaces surviving for long periods of time(6,7,8). The best means to prevent cross-contamination of foods is to ensure all food contact surfaces are cleaned and sanitized before food preparation, raw animal food prep is separated from Ready-to-Eat food prep, food handlers wash and clean hands and do not handle Ready-to-Eat (RTE) foods with bare hands, and the establishment has a monitoring and corrective action management system based on Process HACCP principles to achieve active managerial control of cross-contamination(9,10). According to the FDA, when hands are heavily contaminated or soiled (e.g., fats, oils, grease) effective hand washing practices may not be enough to prevent the transmission of transient pathogens from the hands to RTE foods. The 2017 FDA Food Code discourages bare hand contact with RTE food (i.e., food that is eaten without further washing or cooking) and requires the use of suitable utensils such as scoops, spoons, forks, spatulas, tongs, deli tissue, single-use gloves, or dispensing equipment when handling these food items. The majority of the state food codes have adopted and enforce this rule. Bare hand contact with an RTE food, such as sandwiches and salads, can result in contamination of food and contribute to foodborne illness outbreaks. Therefore, food employees should always use suitable utensils such as spatulas, tongs, single-use gloves, or dispensing equipment when handling RTE foods. Single-use gloves used along with hand washing can be an effective barrier to decrease the transfer of microorganisms from the hand to food. Another value of using single-use gloves when handling RTE foods is because compliance to preventing cross contamination can be easily monitored (by observations of proper glove use) by management and health departments. For example, a manager or health inspector can quickly see if a food handler is handling food safely while watching food prep, glove use including hand washing before and after glove use, and monitoring glove discards in trash receptacles(11,12). Cross contamination of RTE foods by raw animal food handling and preparation is also a significant risk in retail foodservice establishments (e.g., see reference 11). Food handlers often touch non food contact surfaces (e.g., refrigerator door handles, buttons on cook equipment, faucets, etc.) in the food prep areas. Therefore, although gloves can be an effective barrier to prevent cross contamination, the gloves themselves can also contribute to cross contamination of RTE foods(12). When food handlers handle raw foods like chicken or ground beef and then touch other surfaces in the same kitchen, they can spread foodborne disease pathogens to these surfaces where they can be “picked up” by the hands (with and without gloves) of other food workers. Likewise, when a food worker switches task while wearing gloves between handling raw foods and RTE foods without washing their hands and forearms properly, they will contaminant the new pair of gloves with their hands because they have to touch the gloves (to remove them) they used to handle raw foods to remove them. Because these gloves may have foodborne disease associated pathogens associated with them, this can be a significant means of cross contamination of RTE foods. Therefore, we need a new means (a FSMS) to prevent these types of cross contamination of RTE foods from hands and surfaces when handling raw foods during food prep in the kitchens of all retail food service establishments. * Compliance to this cross contamination prevention FSMS can quickly be measured via third party audits and monitored via self-assessment systems. - Enables food handlers to experience a visual cue when wearing the raw color/indictor gloves to remove the gloves before they touch other surfaces or food (which includes a hand wash step between switching task). - When only a single glove color is used to handle all foods (ready-to-eat and raw) as well as all other task such as handling and emptying trash, cleaning equipment and facilities, cleaning rest rooms, washing dishes, cleaning up bodily fluids, etc., the employees see (i.e., their food safety culture) gloves as a means to protect them from dirt, chemicals and food residues. Numerous studies have documented that improper glove use due to this perception leads to increased foodborne disease outbreaks in retail sales and food service establishments. This includes prevention of microbial pathogens and allergen cross contact with foods due to mishandling foods. - Implementing and using a glove use FSMS will change the businesses food safety culture within a retail sales or food service chain by establishing the proper perspective of cross contamination prevention by food handlers when wearing gloves (e.g., recognizing when hands are likely contaminated and what not to touch). - The majority of the 50 states has adopted, and now enforce the 2005 or greater FDA Food Code. The 2005 FDA Food Code requires gloves to be used by food handlers when preparing ready to eat foods, but only requiring single color gloves thus leaving in place the risk of improper glove use between task in place. Enhanced customer experience in retail food service establishments where customers see food preparation by food handlers (e.g., the business can promote its food safety program showing how they use yellow gloves to handle raw chicken so the customer can see how they ensure raw chicken is “contained in the kitchen”). 2. Hedberg, CW. 2013. “Explaining the Risk of Foodborne Illness Associated with Restaurants: The Environmental Health Specialists Network (EHS-Net).” J Food Prot 76:2124–2125. 3. Petran, RL et al. 2012. “Health Department Inspection Criteria More Likely to Be Associated with Outbreak Restaurants in Minnesota.” J Food Prot 75:2007–2015. 4. Lynch, M et al. 2006. “Surveillance for Foodborne-Disease Outbreaks—United States, 1998–2002.”Morb Mortal Wkly Rep 55:1–42. 6. Todd, E. C. D., J. D. Greig, C. A. Bartleson, and B. S. Michaels. 2008. Outbreaks where food workers have been implicated in the spread of foodborne disease. Part 4. Infective doses and pathogen carriage. J. Food Prot. 71:2339–2373. 9. King, CH. Food Safety Management: Implementing a Food Safety Program in a Food Retail Busi- ness (New York: Springer-Verlag, 2013). 12. Todd, C. D., B. S. Michaels, J. D. Greig, D Smith, and C. A. Bartleson. 2009. Outbreaks where food workers have been implicated in the spread of foodborne disease. Part 8. Gloves as barriers to prevent contamination of food by workers. J. Food Prot. 72:1762–1773.